Two articles six-years apart talk about the same thing: people in contemporary photography don't smile, they just present a blank stare to the camera, often standing up doing nothing, in a slightly uncomfortable and somehow passive pose. Nothing changed in between? Is sadness still the best way to make portraiture a valuable candidate to decorate the collector's walls? Here's looking at you. Engaging yet ambiguous, deadpan photography provides a refuge from emotion in a time of worry, The Boston Globe, November 4, 2007. 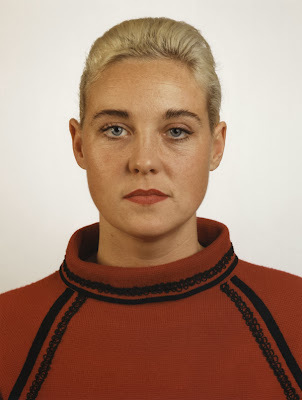 Don’t Say Cheese: Why Do the People in Contemporary Art Photographs Look So Blank? Feature Shoot, November 14, 2013.